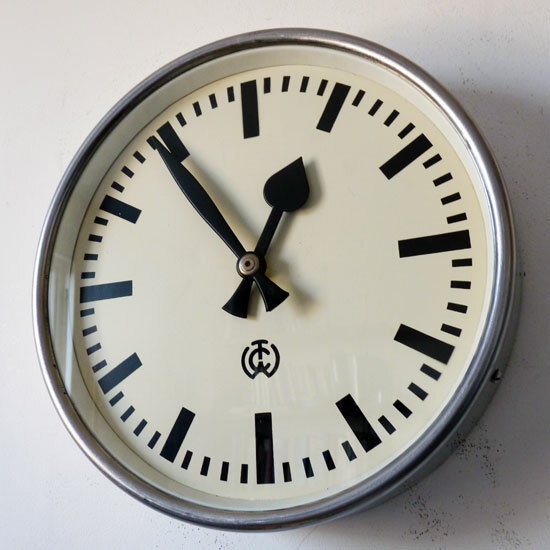 This is a very beautiful factory clock from the 1950's manufactured by the German company Carl Theodor Wagner. It has a Swiss/German industrial look, nicely shaped hands and clear figures. 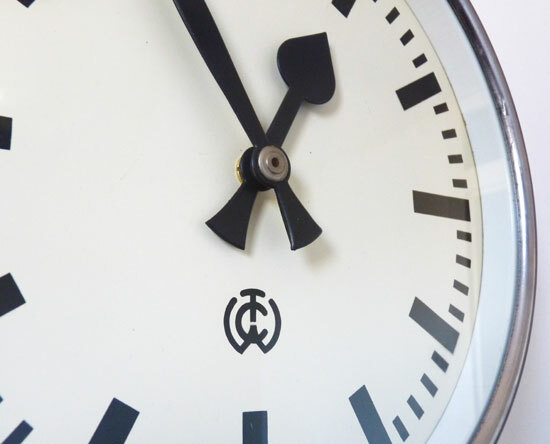 CTW clocks with the CTW logo have to be among my favourites. The quality of manufacture and quality of the steel is very high. 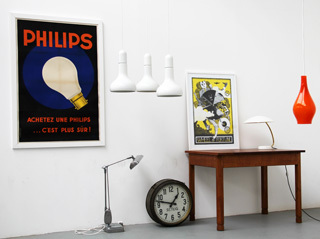 CTW always made exceptional clocks. 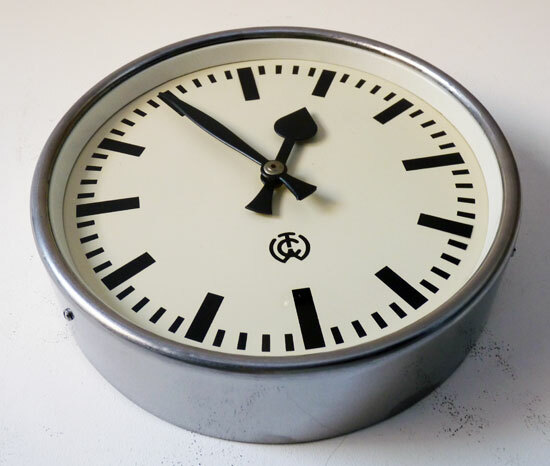 The body is made from polished steel; flat glass cover, black painted figures on an ivory white painted steel face, black painted aluminium hands. No major scratches, no dents, no glass scratches. High quality German manufacture. 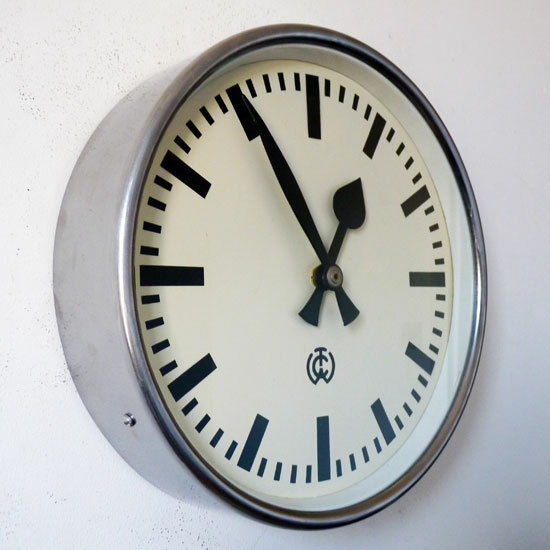 Many German industrial clock designs are based upon the iconic Swiss Federal Railways clocks of the 1940's designed by Hans Hilfiker (1901-93), now re-issued by Mondaine, featuring a simple pared down but graphically strong clock face, influenced by the teachings at the Bauhaus. 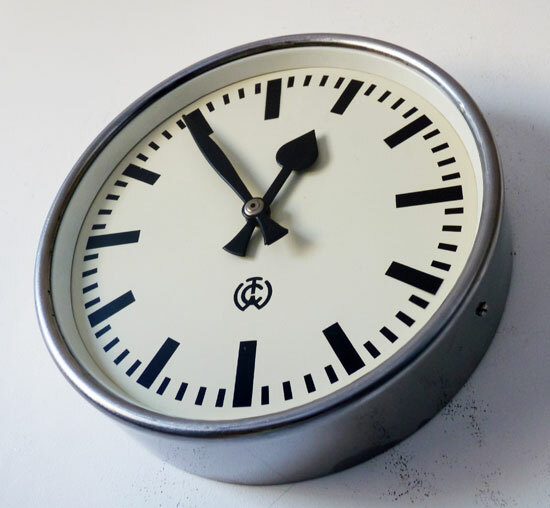 Formerly a slave clock, it is now has a high quality German quartz movement for accurate timekeeping and low maintenance. 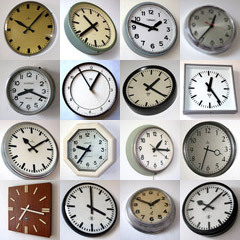 Guaranteed for one year, but these modern quartz movements will last for decades. (1 AA battery per year). Ready for immediate use. 1 AA battery supplied.